Brent Allen Buck‘s brownstone exterior fits in perfectly with his Prospect Heights neighborhood. 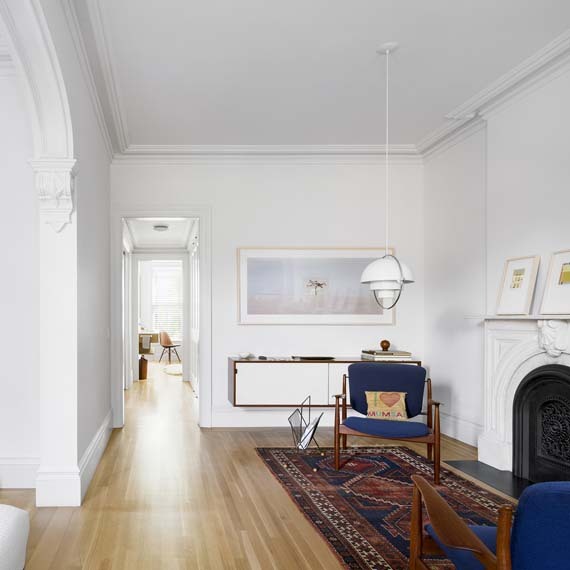 This year Buck went out on his own to launch Buck Projects, headquartered in the Brooklyn brownstone he renovated on nights and weekends over the last two years. 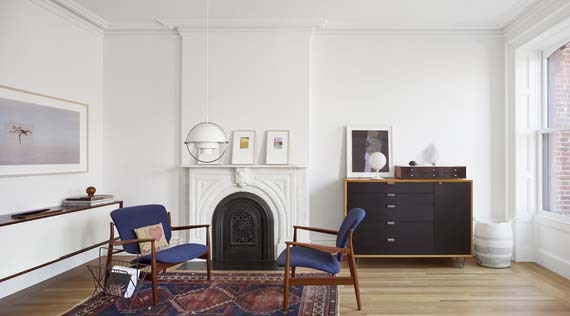 The townhouse serves as a design laboratory and office, as well as a home base he shares with wife Katie. Take a look. The photos tell the story. I once co-owned an almost identical brownstone and can just imagine the work (and money) that would go into bringing this 150 year-old home into the 21st century. A meticulous restoration. Major props.